National Federation of the Blind of Maryland | The National Federation of the Blind of Maryland knows that blindness is not the characteristic that defines you or your future. The National Federation of the Blind of Maryland is pleased to announce that the John T. McCraw Scholarship Program for 2019-2020 will include two scholarships in the amounts of $2,000 and $1,500. These scholarships will be awarded to qualified blind students who exhibit academic achievement and community involvement. The John T. McCraw Scholarship Program has been established to promote post-secondary educational opportunities for Maryland's blind students. The recipients may use these scholarships to defray the cost of educational expenses incurred at any post-secondary institution during the 2019-2020 academic year. Those requesting financial assistance to attend the NFB National Convention in Las Vegas may complete and submit the NFBMD Financial Assistance Application Form by May 15, 2019. Read more about Financial Assistance Application Form For National Convention - Now Available! Please enjoy these highlights from the 2018 annual convention of the National Federation of the Blind of Maryland which was held November 9-11 in Ocean City. With the KNFB Reader, you can read such printed items as credit card receipts, packaging labels, mail, product information, computer screens, and of course books and documents. Take a photo and the app reads the text aloud or publishes it in Braille if you have a refreshable Braille display. 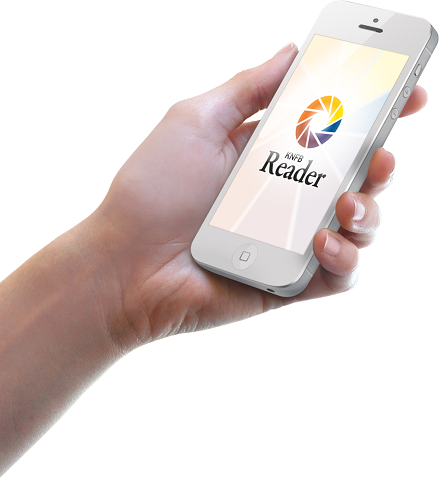 Learn more and purchase KNFB Reader for iPhone, Android, and Windows 10 devices at www.knfbreader.com.